I was confused when I first saw the Vensmile K8. 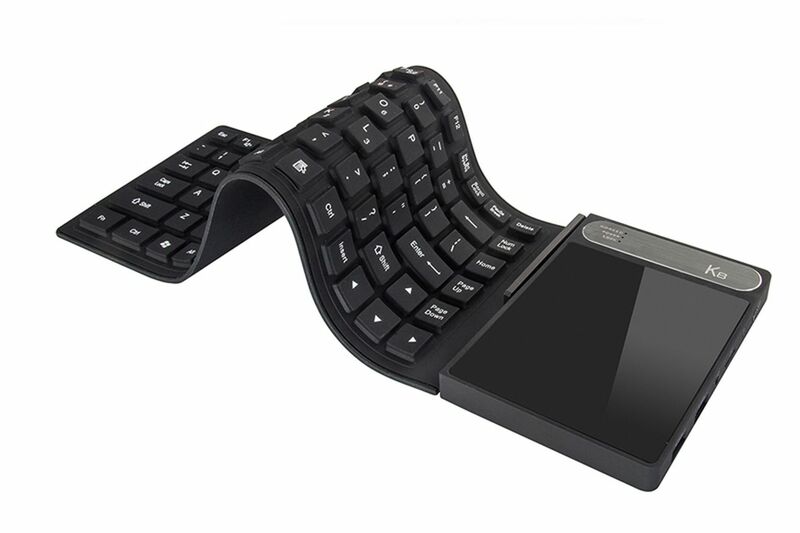 It looks like another flexible keyboard, and those have been around as a fun gimmick from novelty technology stores for years. But on a second look, the Vensmile K8 stands out, since it's not a flexible keyboard at all. Or rather, it's a flexible keyboard that's also a full Windows computer. Aside from the rollable rubber keys, the attached box includes a touchpad, along with 4GB of RAM, 64GB of flash storage, and an Intel Atom X5 Z8300 processor, which is actually kind of impressive given the form factor. Obviously, you'll still need a screen. There's both HDMI and VGA video out, so grab the nearest TV or antiquated projector and you're good! 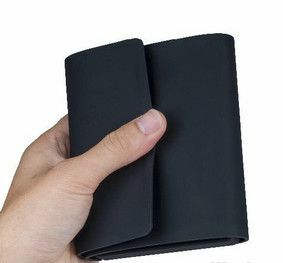 And the whole thing can just fold up into a large, possibly pocket-sized wallet-shaped blob for easy transportation. It feels a lot like InFocus's $99 Kangaroo PC, which similarly stuffs an entire Windows computer into a pocket-able form factor, but trading out the Kangaroo's battery for a floppy keyboard. The Vensmile K8 will cost $200 when it goes on sale later this month. And while you're probably not getting a great computer for the price, you also aren't not getting a computer that's permanently attached to a floppy keyboard.